2012 has started off a little weaker in Danville real estate. Sales of single family homes are slightly lower and pricing is down a bit. Keep in mind that all real estate is local and certain Danville neighborhoods are seeing increasing prices. One interesting tidbit is the rebound in the market for attached homes. The number of sales has risen dramatically and we are seeing a strengthening in pricing and lower marketing time. There is a similar trend occurring in the surrounding cities as well. Lack of inventory in Danville remains an issue and could be affecting these numbers but with interest rates where they are this is a great time to be out looking. One word of advice…be patient! 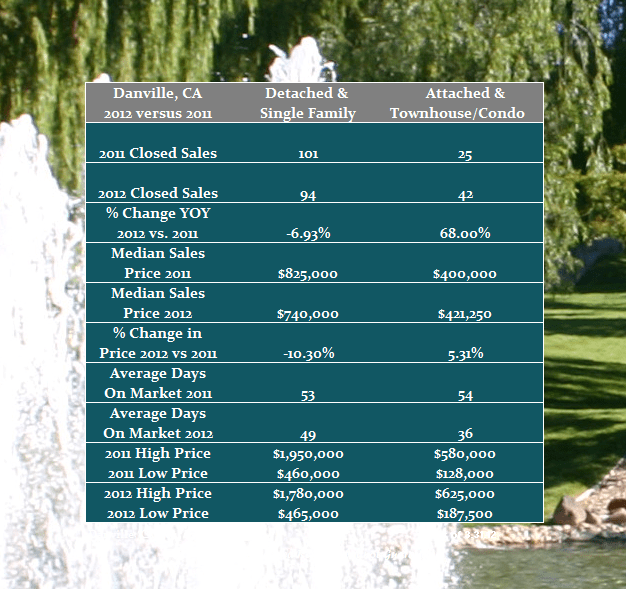 Share the post "First Quarter Real Estate Update for Danville"